guy fawkes day... posted a day late. 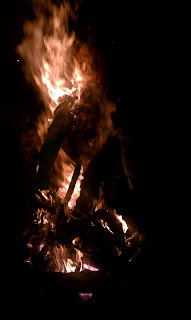 my roommates decided to burn an effigy of guy fawkes. you can't see jeff, but he is holding it up, so the flames went to like 6 feet high.